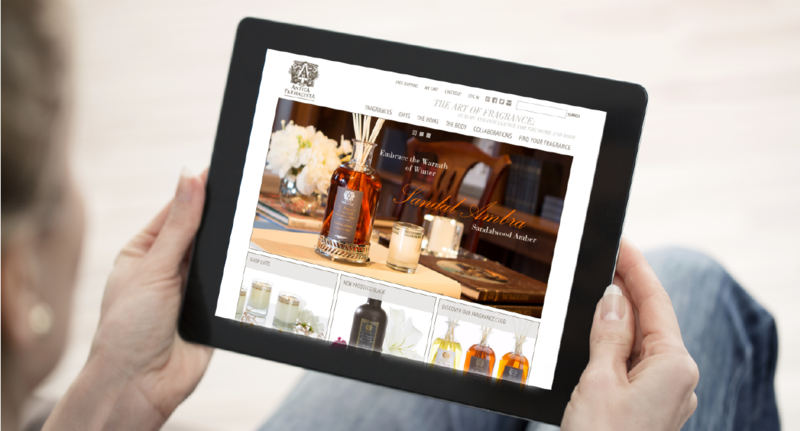 Rethink the site strategy and UX to make it easier for customers to find and buy products. 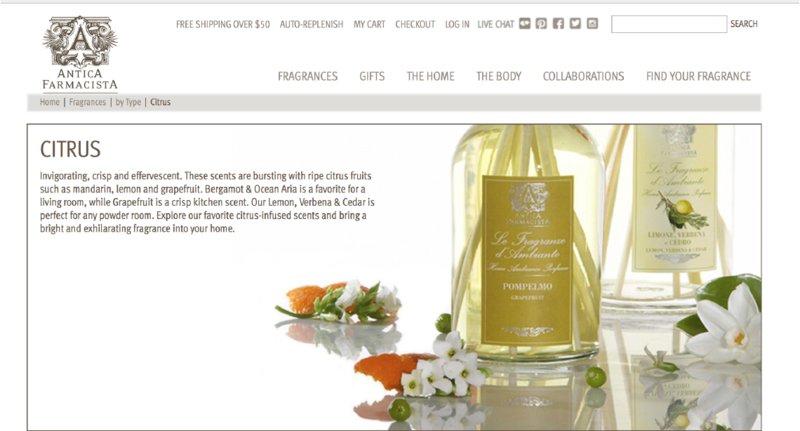 Antica Farmicista is a purveyor of signature scents, for the home and body, gifts, and oil diffusers, inspired by old-world European charm. Push conducted a thorough competitive audit and developed a UX strategy to align Antica products with the customers' natural shopping tendencies. We simplified the design, celebrated their photography and eliminated anything that would detract from purchase. 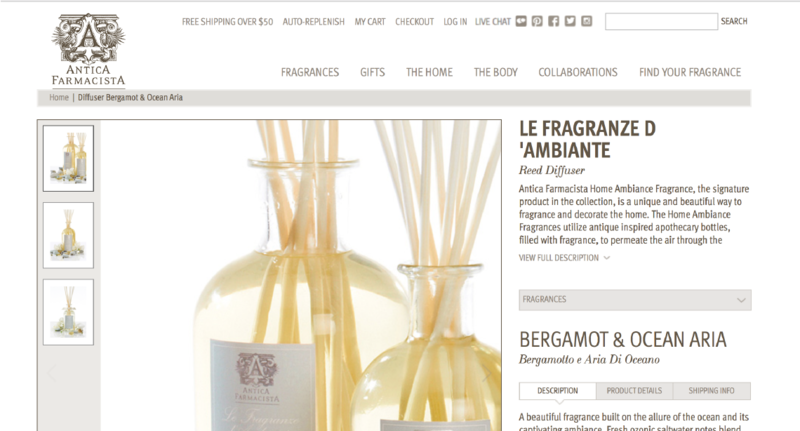 The result is a site that conveys simple elegance, just like their products.